Are you an EMPLOYER looking for Blue Ribbon Candidates? Click here. Manage high-volume restaurant with 3.2 million annual sales. Must have previous work experience as a McDonald's manager and McDonald's management training courses completed. Hamburger University and experience within a multi-cultural environment are highly desired. Salary up to $70k depending on experience and awards. Health/Dental Insurance. Bonus. 401k Match. 2/3 weeks vacation. 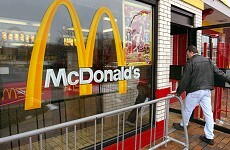 Oversee five McDonald's restaurants with PNL responsibility. Must have previous work experience as a McDonald's manager and McDonald's management training courses including Hamburger U. along with a strong work ethic and be able to lead a group of restaurants and people. Salary up to $80k depending on experience and awards. Health/Dental Insurance. Car/Allowance. Bonus. 401k Match. 3/4 weeks vacation. 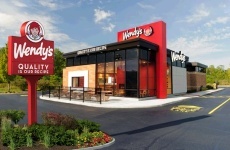 Leading BURGER fast food restaurant group. Up to $85k base salary depending on experience and awards -- AND company car / car allowance! Health Insurance 100%, Bonus Program, Paid vacation, 401k. McDonald's experience and Hamburger U. are required. Bilingual a plus. 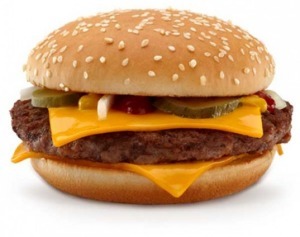 Leading BURGER fast food restaurant group. Up to $58k base salary depending on experience and awards. Health Insurance 100%, Bonus Program, Paid vacation, 401k. To be considered, you must be currently employed by McDonald's as a Store Manager, or have previous McDonald's Store Manager experience, because we want you to hit the ground running. Hamburger U. grads are strongly preferred. Bilingual a plus. Salary negotiable up to $85k. Fully paid health / dental / vision. Car allowance / company car. Must have steady employment history with McDonald's, Hamburger University training completed, multi-unit supervisory experience and proven track record of success. Salary up to $52k. EXCELLENT OPPORTUNITIES FOR ADVANCEMENT within a rapidly expanding franchise. Two to four years of current McDonald's General Manager experience is REQUIRED, because we want you to hit the ground running. Top pay for Hamburger University grads and award winners. Owner operator with multiple restaurants in East Tennessee is looking for an Area Supervisor. Salary negotiable up to $75k. Fully paid health / dental / vision. 401k. Car allowance / company car. Must have steady employment history with McDonald's, multi-unit supervisory experience, Hamburger University, and track record of success. Award winners are preferred. Salary up to $45k depending on qualifications and experience. 60/40 health, dental, vision. Bonus program. 401k. A strong fast food management background is necessary. McDonald's experience is required, because we want you to hit the ground running. You must be a current or former McDonald's Store Manager. Hamburger University graduates preferred. Are you an award winner? Awards are a big plus with us. Salary up to $65k depending on experience, health insurance, bonus. Only McDonald's-trained individuals with at least three years of experience and Hamburger University will be considered. Salary up to $50k depending on experience, health insurance, bonus. Only McDonald's-trained individuals with at least three years of experience and Hamburger University will be considered. Compensation Package: Salary up to $60k depending on qualifications and experience. Bonuses: Quarterly Bonus up to 10 percent of salary per year. Monthly Labor Bonus. Variable Monthly Incentive Bonus. Health Insurance. Vacation: after 1 year, 15 paid days off. After 5 years of service, 20 paid days off. 401k with matching contributions! You must be a current or former McDonald's manager. Prior McDonald's management experience is REQUIRED because we want you to hit the ground running immediately. You'll need enthusiasm and "ketchup in your veins" to qualify. But you must also be a highly effective manager who has already started or completed McDonald's management training courses, and have demonstrated your leadership capabilities and commitment to QSCV through your steady employment history under the Golden Arches. Hamburger University graduates preferred. Are you an award winner? Awards are a big plus with us. Excellent career opportunity at a high-volume location. Base salary $50k to $65k depending on experience. Monthly and quarterly bonuses. Health insurance. Please note: you must be an experienced fast food manager to be considered for this position. Three years of previous General Manager experience with McDonald's, Burger King or Wendy's is strongly desired. Award winners are preferred. We're looking for high energy and high performance. Big Three Burger Chain. Salary range up to $50k depending on experience. Bonus 10%-15% paid monthly. Profit sharing program (1% of net profit paid in lump sum after 5 years - Estimated $20k). 401k with 50% match up to 5%. Subsidized medical, dental, vision. Free Life Insurance. 14 PTO Days to start. Extra day off on GEF holidays. We are recruiters specializing in the fast food industry. Areas highlighted in yellow are 24 states where we have done business since 2005. If you're looking for your next job in food service, ask yourself the following questions: do you have 3 years of previous restaurant experience, preferably in fast food? And, is your employment history stable and consistent — in other words, have you stayed in the same job within the past 5 years, or had no more than 2 jobs within the same length of time? If yes, your chances of success with our agency are much better, because we can more readily recommend you to our clients. We work with a variety of owner/operators, individual franchisees, and corporate franchisees who are looking for capable managers to "hit the ground running" and help them to build their businesses. We are pleased to provide top-notch Management candidates. When you contact us, also tell us about the training courses that you have completed. For our McDonald's openings in particular, we are looking specifically for Hamburger University graduates. OTP training is highly desired. Accomplishments go a long way towards demonstrating your capabilities. Over the years, we have heard from many recipients of the Ray Kroc Award, an annual performance-based award that recognizes the top one percent of McDonald's managers across the country. Other awards include the Gold Hat, Green Hat and Outstanding Manager of the Year. We don't expect everyone to be a Ray Kroc Award winner. But we do expect you have sufficient expertise to be able to "hit the ground running". We can be an excellent resource to you if you're looking for advancement opportunities, to make a move from one restaurant chain/concept to another (especially when going back to McDonald's after being away a few years) or if you are relocating from one area of the country to another. Get in touch with us TODAY for immediate consideration. If you are a suitable candidate, chances are that we can set up an interview for you ASAP. We will assist you to the best of our ability and with honesty and integrity. When you contact us, you can optionally indicate whether or not you want us to hold your information strictly confidential. Please note you must be legally authorized to work in the U.S.A. There is NO COST to job seekers for using our services. Our compensation comes from the owner/operators who pay us a fee for each successfully completed placement! Get job alerts when new fast food management openings become available. We&apos;ll keep you posted. Your privacy is assured. We do not sell or rent our list to ANYONE. If you are the owner of a fast food restaurant, please visit our page for fast food owner operators or call 518-810-7310. We will be glad to discuss the terms of our staffing services, which include our 90-Day Placement Guarantee. We are a two-person team whose work focuses on recruiting managers and supervisors for fast food restaurants. Brian is a retired Federal Agent, and Steven is a Certified Software Engineer. We started our business partnership in 2005 in response to local owner/operators within New York's Hudson Valley Region who voiced their frustration with the challenges of recruiting and retaining top management staff. Over the past 14 years, we have gradually extended the range of our capabilities to assist not only individual owner/operators and franchisees but also regional restaurant groups across the U.S.A. with personalized attention. We help solve their #1 problem — recruiting and retaining top management staff. 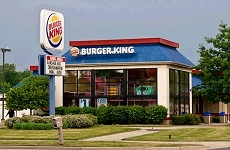 We are among the few recruiting agencies specializing in the Fast Food / QSR Industry. We are committed to building solid business relationships with food service employers as well as providing excellent management career opportunities to qualified candidates.